This has been a hard week, and the circumstances of why the week was so hard have contributed to why this write-up is so late. They also thematically dovetail nicely with the show that we saw last Saturday at the Hollywood Pantages (FB): A Bronx Tale (FB). Why has the week been so hard? The camps that I grew up at as a child — Camp Hess Kramer and GIndling Hilltop Camp — were essentially destroyed by the Woolsey Fire. 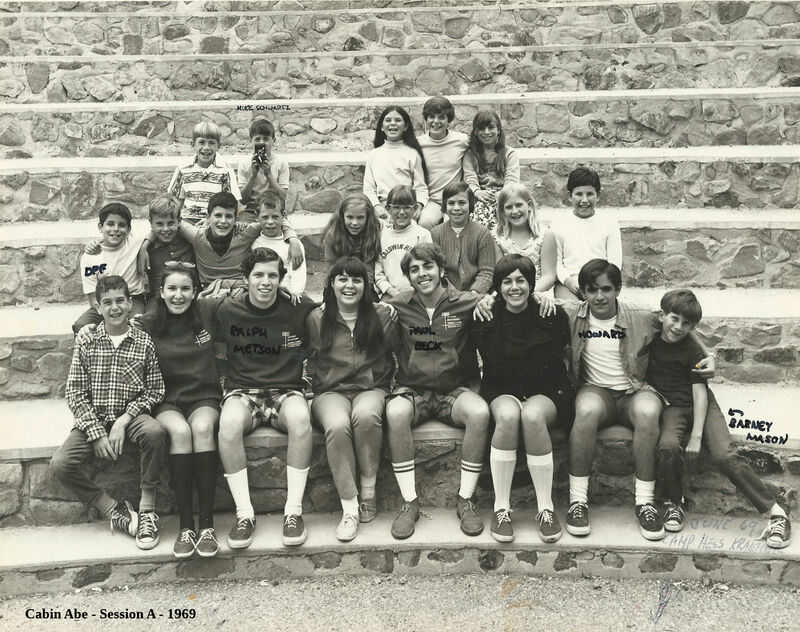 Camp will rebuild of course (and they were insured, although you can contribute and help as well), but it has been a week filled with memories of how my 10 years at camp — 1969 through 1978 — shaped me into what I became today. Events and places that occur in a child’s formative years can have profound impacts on what they become. This is especially true when what shapes that path is love. The notion of how our past can shape our present is at the heart of A Bronx Tale. When he was 9 (the same age that I started camp), Calogero Lorenzo (“Chazz”) Palminteri witnessed a murder in front of his house in the Bronx, where he lived on Belmont Avenue with his parents Lorenzo and Rose. What happened next drew him into the orbit of the local mob, and shaped his life when he had to ultimately make the decision about whether he was going to live a life where he achieved his goals through fear, or he followed the path of love. He chose the latter, and after a number of struggles, wrote up his childhood experiences as a one man play. 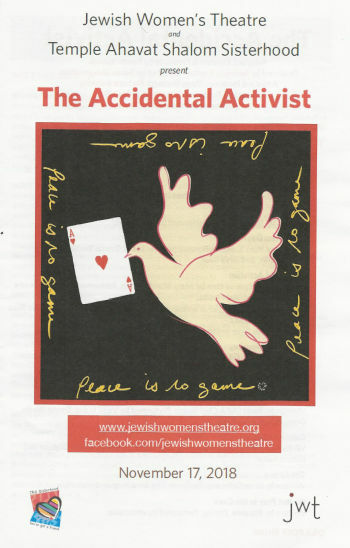 He premiered this play (where he played 31 roles) through one of Los Angeles’ intimate theatre companies, West Coast Ensemble (FB) [a company that, alas, has gone dark, although we saw their last production] at Theatre West (FB), and the play was a success. The play was polished, moved to an Off-Broadway house, and won a number of awards. Robert DeNiro saw it, and offered to buy the film rights. After some back and forth, that happened, with Palminteri both writing the story and having a part in the movie. The movie premiered and was a reasonable success. This led to Palminteri bringing back the one-man show, this time as a play on Broadway itself, which later went on a national tour. That then led to a musical adaptation, directed by Jerry Zaks (who directed the stage play) and Robert De Niro (who directed the movie), written by Palminteri, with music by Alan Menken and lyrics by Glenn Slater (FB) [who was recently represented on the Pantages stage with both  Love Never Dies and  School of Rock). That opened on Broadway in December 2016, ran through August 2018, and then moved to a national tour. 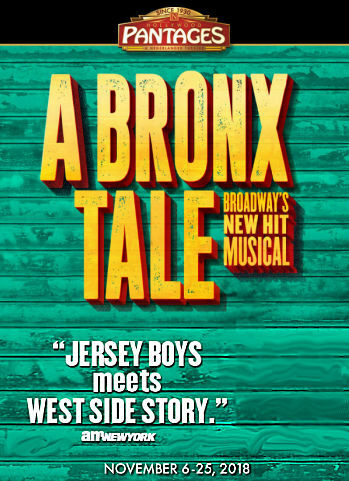 Although the show is marketed as “Jersey Boys meets West Side Story”, that’s really just marketing. If it were me, I’d use the line: “Those who influence our youth influence their future.”. For just like my adulthood was not only influenced by my parents, but by what happened to me at camp, Palminteri’s adulthood was influenced by the dual values of what his parents taught him as well as the lessons he learned at the camp of hard knocks, under the mob leader Little Johnny (renamed in later versions of the story). In 1960, Lorenzo lives in Belmont, an Italian-American neighborhood in The Bronx, with his wife Rosina and his 9-year-old son Calogero, who is fascinated by the local mobsters led by Sonny. One day, Calogero witnesses a murder committed by Sonny in defense of an assaulted friend in his neighborhood. When Calogero chooses to keep quiet when questioned by the NYPD, Sonny takes a liking to him. The two start working together, and Sonny gives him the nickname “C”. Calogero starts working at Sonny’s bar, throwing dice and getting paid. When his bus driver father finds out, he admonishes the boy and words him about the life. Eight years later, Calogero has grown into a young man who has been visiting Sonny regularly without his father’s knowledge. Calogero is also part of a gang of local Italian-American boys At school, Calogero meets a black girl, Jane, and is smitten. Despite the high level of racial tension and dislike between Italian Americans and African Americans, Calogero arranges a date with Jane. He asks for advice from both his father and Sonny, with the latter lending Calogero his car so he can make a good impression. Before the date happens, however, the neighborhood gang beat up some blacks who cut through their neighborhood, including Jane’s brother. There is some confusion, an argument with Jane, and a fight with Sonny (who thinks Calogero put a bomb in Sonny’s car). The tensions continue to rise, and the Italian gang makes plans to bomb the blacks, but end up bombing themselves instead. Luckily, Calogero is alive because Sonny kept him from going with that gang (and thus, Sonny saved his life). Calogero rushes back to his neighborhood and makes his way through the crowded bar to thank Sonny and inform him of what happened, but an unnamed assailant shoots Sonny in the back of the head before Calogero can warn him. Calogero later learns that the assailant was the son of the man Sonny killed in front of Calogero’s house eight years earlier. At Sonny’s funeral, countless people come to pay their respects. When the crowd disperses, a lone man, Carmine, visits the funeral, claiming that Sonny once saved his life as well. Carmine tells Calogero that he will be taking care of the neighborhood for the time being, and promises Calogero help should he ever need anything. Carmine leaves just as Calogero’s father unexpectedly arrives to pay his respects to Sonny, thanking him for saving his son’s life and admitting that he had never hated Sonny, but merely resented him for making Calogero grow up so quickly. Our reactions to the show? I thought it was a good show. Not great, not game changing, but good. It was clearly in the mold of existing musicals. The music was quite enjoyable, and a number of the songs easily stuck in your head. The individual performances were strong. But overall, as a piece, it was … good. Part of that the interracial plot line, which could have been good had it gone somewhere (for a while, I was thinking of the musical Memphis), but it just fizzed away. In terms of long term impact, I felt that Friday night’s show, Dear Evan Hansen, had much more staying power and a much stronger overall message. I liked the message of A Bronx Tale, especially the tag line of “The saddest thing in life is wasted talent, and the choices that you make will shape your life forever.” But I think in terms of today’s generation, the former message of “No one deserves to be forgotten, no one deserves to fade away.” has more resonance. So, in my eyes, A Bronx Tale (The Musical) was good and enjoyable, but didn’t rise to the level of great. On the other hand, my wife enjoyed A Bronx Tale immensely. She liked the music, she liked the story, she liked the performances. She had been troubled by the fact that Dear Evan Hansen, ultimately, was built around a lie, and when those walls came crashing down, a lot of people were hurt by the lie. She found that A Bronx Tale had a better message for her: a message about making the right choices, about choosing to do the right thing and growing and benefiting from it. Thinking about it, both shows on the main stages of LA have to do with choices: Evan makes a choice out of anxiety, and chooses to lie, making up a story to get people to like him. In doing so, he hurts a lot of people, but imparts a good message along the way. “C” also makes a choice: after seeing the damage that can occur by building a life of making people fear someone, he chooses instead to build a life around love: doing what he loves, living life in a way that make people love him. He matures, but with his integrity intact. Who made the better choice? Evan or “C”? My wife might have it right after all. I should always listen to her (at least in terms of the messages of the show). So why did Dear Evan Hansen get all the fame and glory? There are a few reasons, I think. First, I think, was the fact that DEH was a new story for the stage, whereas ABT was first a play, than a movie, than a musical — and the stage of late has been littered with movies-to-musicals. Second was the music: DEH was in the modern sound idiom, and appeals to youth; ABT was more a traditional older-rock sound. Third was the performances: Whereas some of the performances in ABT were strong, all of the performances in DEH were outstanding, particularly Evan and Heidi. Fourth was technology: ABT was a conventional story with conventional staging; DEH utilized technology in a new way in its staging. Last was message: ABT was more of an old fashioned mob story with a good message, but DEH touched upon topical issues: people feeling alienated because they are forgotten, the mental illness of teens, and the broader impact of anxiety and teen suicide. Both, however, are worth seeing and worth contrasting. Writing this up almost a week after seeing the show, there are a few performances that still stick in my head. First and foremost are the Calogeros — both the young and the old. The “young” was either Frankie Leoni (FB) or Shane Pry (at some performances); I think we had Frankie, but I’m not sure, The “old” was Joey Barreiro (FB). Frankie/Shane (whomever it was on Sat night) gave a remarkable performance: strong singing, strong dancing, strong voice, strong characterization. He was also a lot of fun to watch. Barreiro’s older Caolgero was also strong — good movement, good singing, good performance. Brianna-Marie Bell (FB)’s Jane demonstrated a knockout voice and a strong characterization in a character, alas, that is only a catalyst and does not bring the meaningful relationship her character should bring. Joe Barbara (FB)’s Sonny had the right old Sicilian feel about him, and had good mobster moves and a nice voice, although his stage fighting could use a bit more work to come across as realistic. In the last of the named memorable roles, Richard H. Blake (FB)’s Lorenzo had a nice mix of paternalism and strength, with a good singing voice. The remaining performances, alas, faded together into the cloud of memory: good dancing, good singing, but no particularly standout characterizations. I think this is more the fault of the script and the story than that actors themselves. The remaining performance team was: Michelle Aravena (FB) [Rosina]; Antonio Beverly (FB) [Tyrone]; Mike Backes [Ensemble, Eddie Mush]; Michael Barra (FB) [Ensemble, Joseph the Whale]; Sean Bell (FB) [Ensemble, Sally Slick]; Joshua Michael Burrage (FB) [Ensemble]; Joey Calveri (FB) [Ensemble, Carmine]; Giovanni DiGabriele (FB) [Ensemble, Handsome Nick]; John Gardiner (FB) [Ensemble, Rudy the Voice]; Haley Hannah (FB) [Ensemble, Asst. Dance Captain]; Kirk Lydell (FB) [Ensemble]; Ashley McManus (FB) [Ensemble, Dancer]; Robert Pieranunzi (FB) [Ensemble, Frankie Coffeecake]; Brandi Porter (FB) [Ensemble, Frieda]; Kyli Rae (FB) [Ensemble]; Paul Salvatoriello (FB) [Ensemble, Tony Ten-to-Two]; Joseph Sammour [Ensemble, Crazy Mario]; and Jason Williams (FB) [Ensemble, Jesse]. Swings were: Peter Gregus (FB), Christopher Messina (FB) [Dance Captain]; and Brittany Williams. I’m not noting who was understudying whom. Music was provided by a mix of travelling and local† musicians, conducted by Brian P. Kennedy (FB), who was also on the keyboards. Working with him were: Noah Landis (FB) [Assoc. Conductor, Keyboards]; Lisa LeMay (FB) [Asst. Conductor, Keyboards]; Theodore Hogarth (FB) and Jordan Standlee (FB) [Woodwinds]; Jeff Ostroski (FB) [Trumpet / Flugel]; Craig Watson (FB) [Trombone]; Brian LaFontaine (FB)† [Guitar]; Paul Davis (FB) [Drums]; Frank Canino (FB) [Acoustic and Electric Bass]; Richard Mitchell† [Flute, Alto Flute, Clarinet, Alto Sax, Soprano Sax]; John Fumo (FB)† [Trumpet / Flugel]; Charlie Morillas (FB)† [Trombone]; Alby Potts (FB)† [Keyboard 3]; Jennifer Oikawa† [Keyboard 2 Sub]; Eric Heinly† [Orchestra Contractor]. 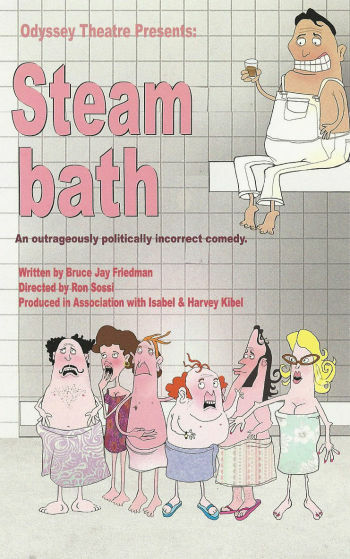 Other music credits: Randy Cohen (FB) [Keyboard Programmer]; John Miller (FB) [Music Coordinator]; Doug Besterman [Orchestrations]; Johnny Gale [Period Music Consultant]; Ron Melrose [Music Supervision and Arrangements]. Choreography was by Sergio Trujillo (FB), Marc Kimelman (FB) was the Assoc. Choreographer. The movement seemed sufficiently period, but none of the dance sequences stick in my head a week afterward. Lastly, we turn to the production credits. Beowulf Boritt (FB)’s Scenic Design was relatively traditional, with a nice Bronx backdrop that served for most of the story. It integrated well with the other scenic aspects: William Ivey Long‘s costume design, Paul Huntley‘s hair and wigs, and Anne Ford-Coates‘s makeup. Howell Binkley‘s lighting and Gareth Owen‘s sound sufficed. Other production credits: Robert Westley [Fight Coordinator]; Hudson Theatrical Associates [Technical Supervision]; Stephen Edlund [Assoc. Director]; Jeff Mensch [Company Manager — bet he gets a lot of jokes]; Kelsey Tippins [Production Stage Manager]; Networks Presentations / Walker White [Production Manager]; Tara Rubin Casting / Merri Sugarman CSA [Casting]. A Bronx Tale continues at the Hollywood Pantages (FB) until November 25, 2018. Tickets are available through the Pantages box office. Discount tickets may be available on Goldstar. Note: As always, we seem to hit at least one Broadway Cares / Equity Fights AIDS performance every year. Saturday was our night with the actors and their red buckets. So, we’ll hit you up as well. Donate to BC/EFA here. 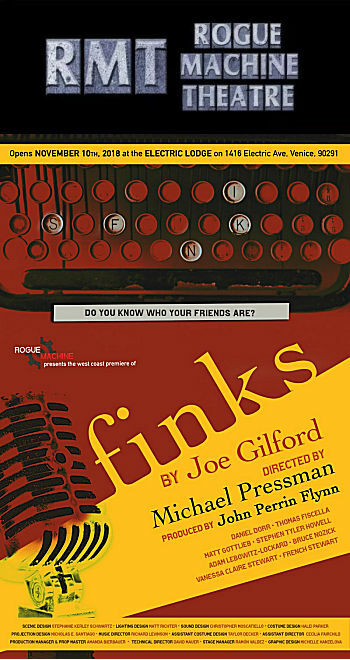 The upcoming weekend brings Beyond Jacobs Ladder from Jewish Woman’s Theatre (FB) at our synagogue on Saturday, and Finks at Rogue Machine Theatre (FB) on Sunday. 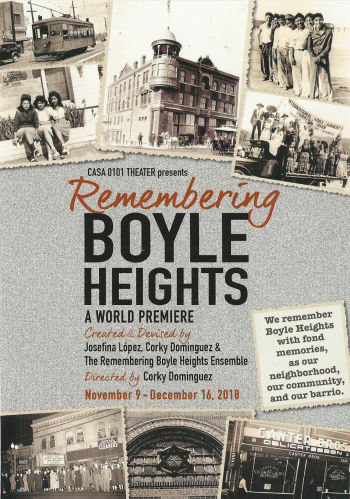 Thanksgiving weekend has Steambath at the Odyssey Theatre Ensemble (FB) on Saturday and Remembering Boyle Heights at Casa 0101 (FB) in Boyle Heights on Sunday. December starts with the Annual Computer Security Applications Conference (ACSAC), followed by a hold for the Canadian Brass at the Saroya [the venue formerly known as the Valley Performing Arts Center (VPAC)] (FB).